MONO Practice Baltimore is delighted to present Transom, works by Magnolia Laurie (Baltimore) and Alex Paik (New York City). Transom is the inception of Mono Practice’s new program where the focus is to bridge studio practices that move beyond geographical and studio constructs. Please join us for Transom’s opening reception on January 19, 2019.
they marked the borders, the barriers, and the changing tide, 2017, oil on panel, 12 x 12 inches. 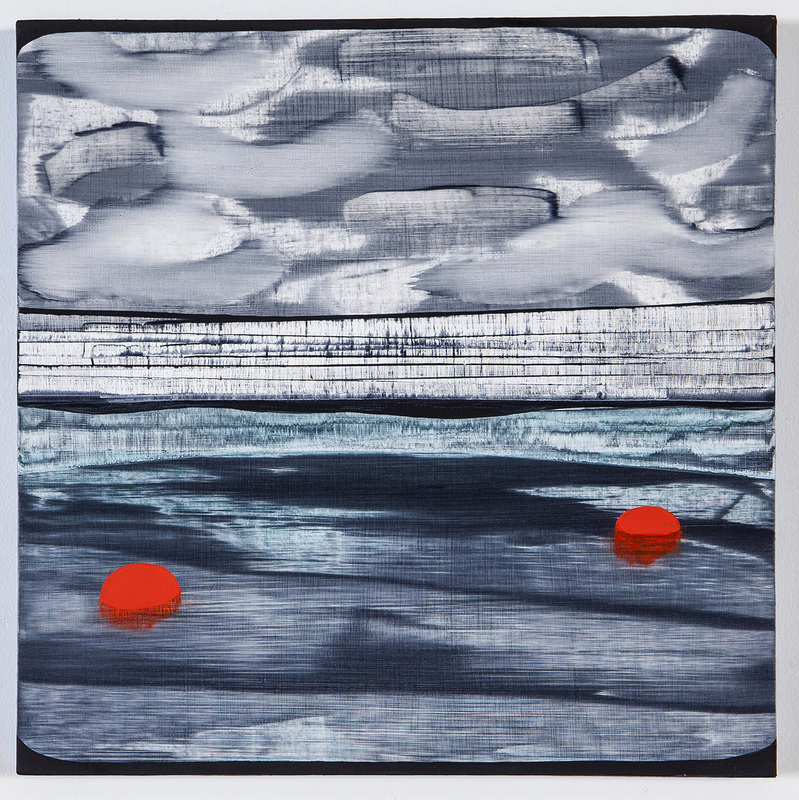 frosch&portmann is pleased to present further yet closer still, Magnolia Laurie’s fourth solo show with the gallery. Created in the last seven months, the works in this exhibition are connected through the premise of vantage point and environment. Laurie’s recent paintings are not set in one place or one way of looking, rather, each new vantage point shifts our focus as the ideas and images unfurl over time. Some scenes are based on the artist’s experiences traveling, while others reference historical events or images that were etched into her mind through repeated news cycles. 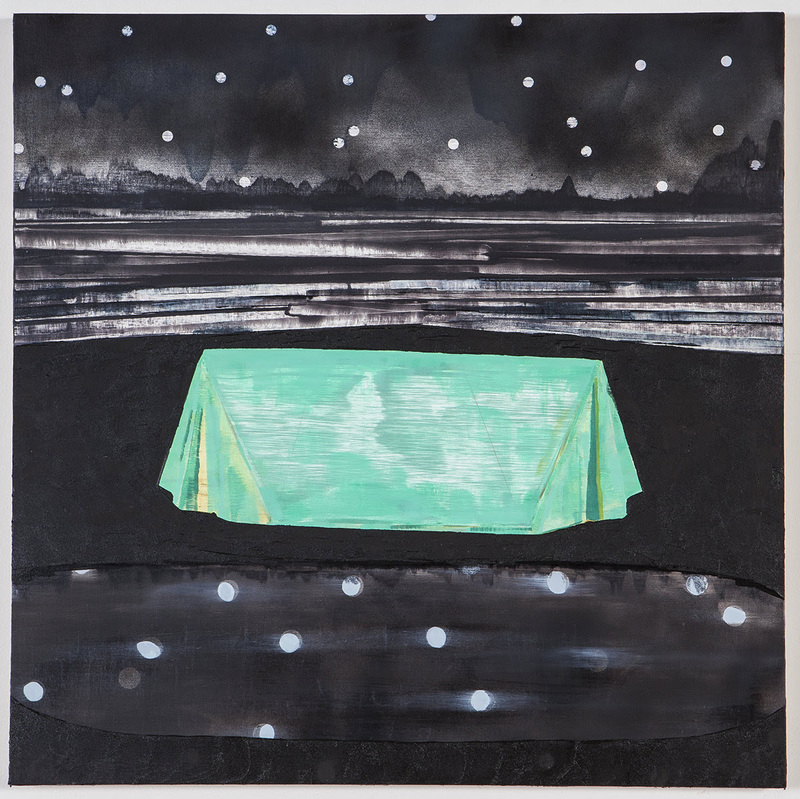 The works in further yet closer still are honest in their wandering, each painting marking an encounter with information that Magnolia Laurie needed to process and translate in order to better understand. Some paintings stay closer to their references, while others are allowed to detour into augmentation and embellishment. The colors and markings in the work range from emotional saturation to restrained precision and starkness. Borders, fences, and framing devices are repeated motifs in these new paintings, and note division, proximity, and distance. We live in a time of division and very tangible transition; these works are about looking and thinking, bearing witness to environmental and cultural rifts, while trying to move forward. further yet closer still refers to the act of timeless wandering, which is likened to the process of making, the need to lose yourself in order to find what you are looking for. The title also aptly describes the somewhat conflicted state of our social and political environment. Magnolia Laurie was born in Massachusetts and raised in Puerto Rico. She received her BA in Critical Social Thought from Mount Holyoke College and her MFA from the Mount Royal School of Art at the Maryland Institute College of Art. She has been awarded residencies from the Vermont Studio Center, the Virginia Center for the Creative Arts, the Creative Alliance in Baltimore, and the Jentel Foundation in Wyoming. Laurie’s work has been supported with grants from the Creative Baltimore Fund, the Maryland State Arts Council Grants, the Belle Foundation and a Mid Atlantic Creative Fellowship. The artist lives in Baltimore, MD and is an Assistant Professor at Franklin & Marshall College in Lancaster, PA.